We are going to take a quick detour from the usual international fare this morning. A rising chorus among movie goers has been for fair representation in all things film. In instances of potrayal of race to gender roles the people have spoken up against a system that has ignored talent within those demographics, instead employing a recognizable face to boost ticket sales. And so it should be the same when it comes to potrayal of characters with a disibility and that is where Jenni Gold's CinemAbility: The Art of Inclusion comes in. Gold is the first wheelchair using female in the Director's Guild and her documentary was released on Friday on VOD from Leomark Studios. An impressive list of of Hollywood talent lend their voice to her cause. Jane Seymour, William H Macy, Geena Davis, Gary Sinese, Marlee Matlin and Jamie Foxx all speak of the issue in her film. 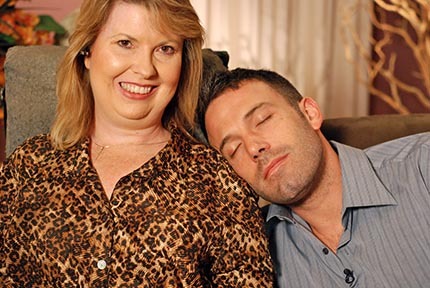 We were given an exclusive clip, featuring Ben Affleck, to share with you this morning. We have also included the trailer as well. A cavalcade of stars, including superstars Ben Affleck, Jamie Foxx, Marlee Matlin, Gary Sinise, Jane Seymour, William H.Macy and Geena Davis, feature in CinemAbility : The Art of Inclusion, releasing October 5 on digital from Leomark Studios. From Director Jenni Gold, the 1st wheelchair using female in the Director’s Guild, and released to coincide with October’s National Disability Employment Awareness Month, CinemAbility reveals a compelling and often amusing look at the history of disability portrayals in entertainment. From the early days of silent films to present-day Hollywood blockbusters, this historic film takes a detailed look at the evolution of “disability” in entertainment over the last 120 years by going behind the scenes to interview celebrities, filmmakers, and studio executives. With heart and humor, CinemAbility: The Art of Inclusion utilizes clips from Hollywood’s most beloved motion pictures and television programs to shine a light on how the media impacts society and the monumental effect these portrayals have on inclusion. Featuring Ben Affleck, Jamie Foxx, Marlee Matlin, Gary Sinise, Jane Seymour, Adam Arkin, William H.Macy, Helen Hunt, Kyle MacLachlan, Daryl Mitchell, Beau Bridges, Richard Donner, Peter Farrelly, Randal Kleiser and many more!